Tillamook Head – The Beginning! 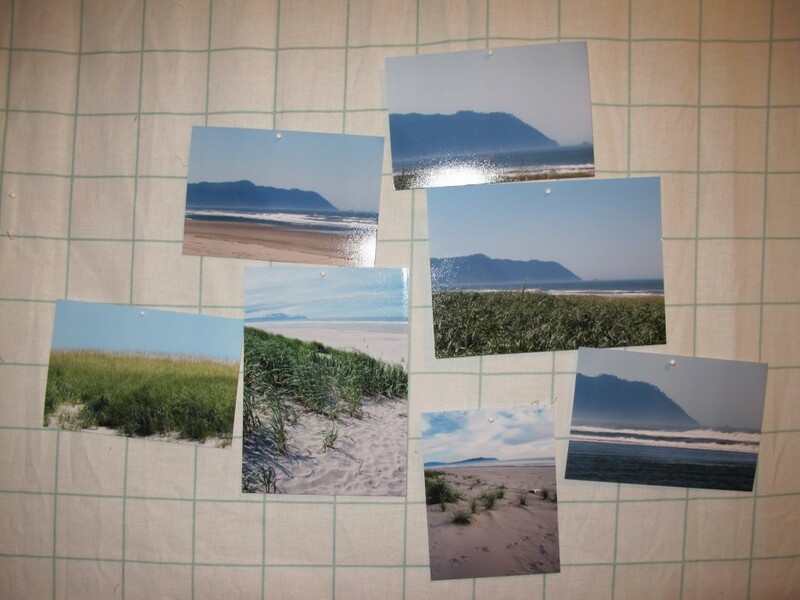 These photographs were initially given to me by the client for this commissioned piece that they wanted of a view of Tillamook Head along the coast of Oregon. These served as the inspiration for the quilt, and from these I created the initial sketch of the design, trying to incorporate much of the inspiration images into one scene. In addition, I was lucky enough to actually go to the site that the client wanted captured, so I had a real visual knowledge of the scene I was trying to create. 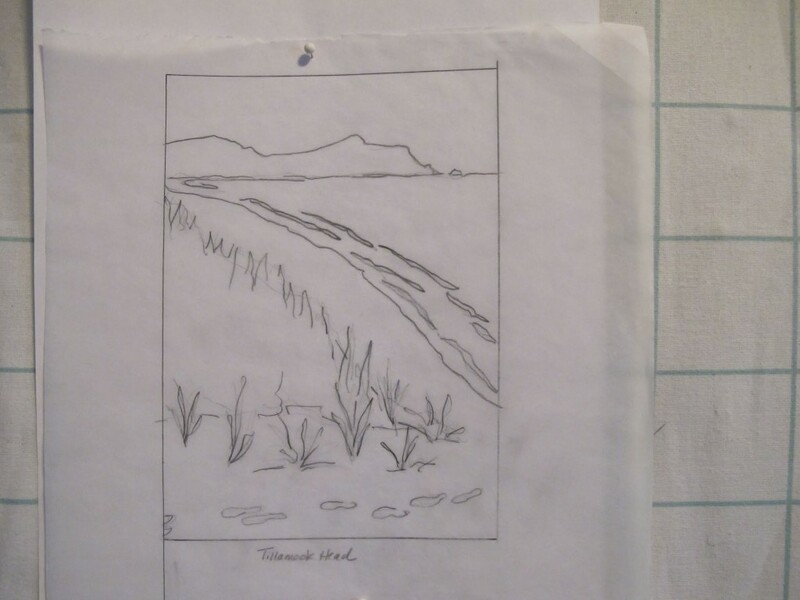 In the coming posts, I’ll be showing you my process of laying out the 2″x2″ pieces for the mosaic.